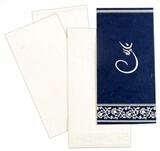 D-5161, Blue Color, Handmade Paper, Hindu Cards. 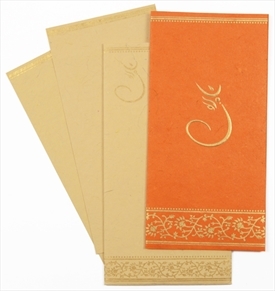 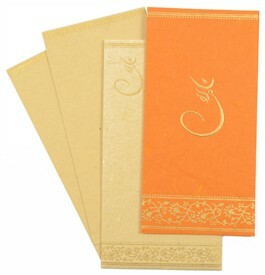 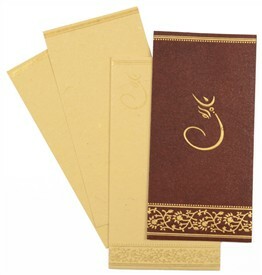 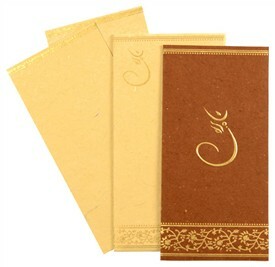 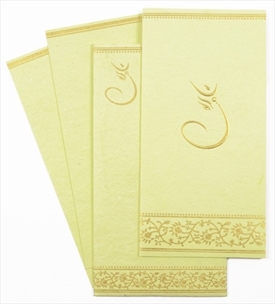 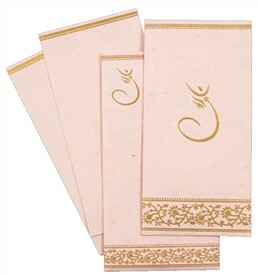 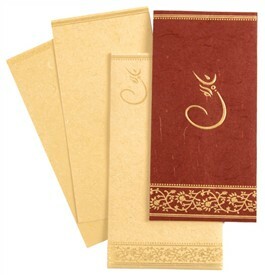 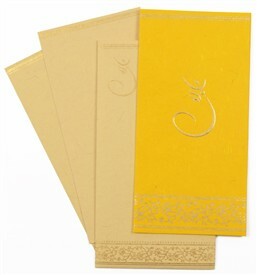 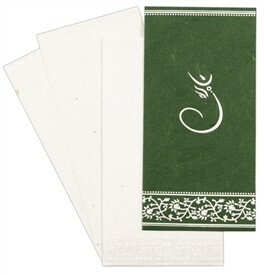 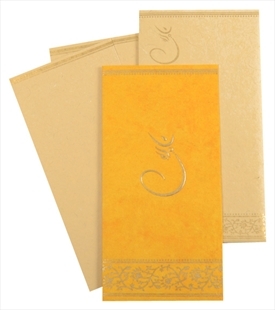 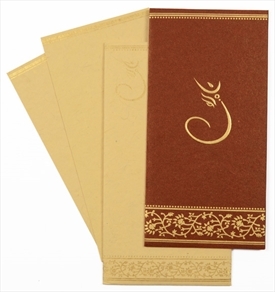 The front of card has embossed Ganeshji in the center with traditional border on top and bottom. 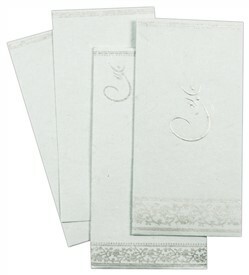 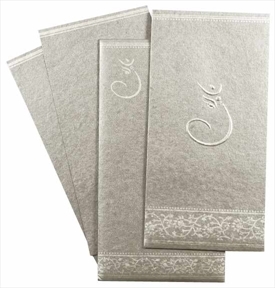 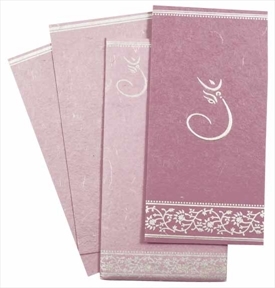 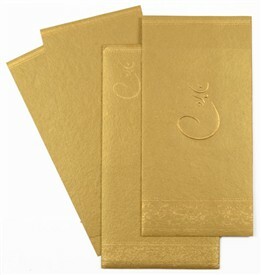 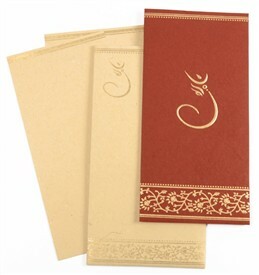 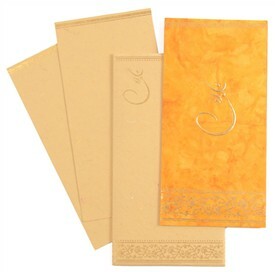 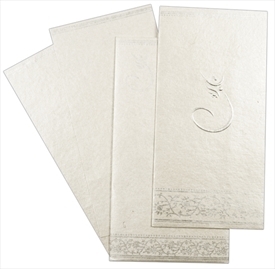 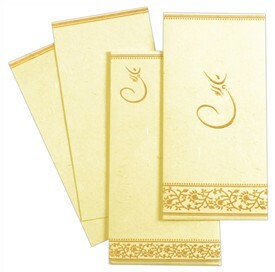 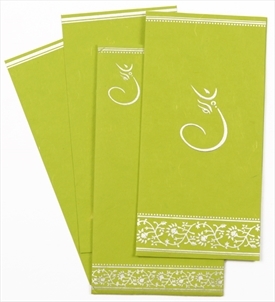 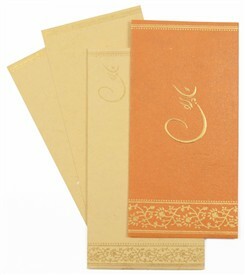 (All designs in silver) The envelope and the inserts also follow the same design. 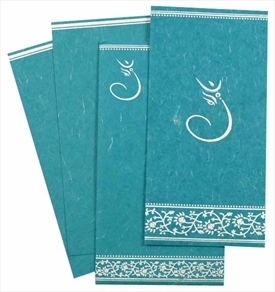 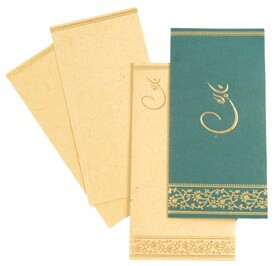 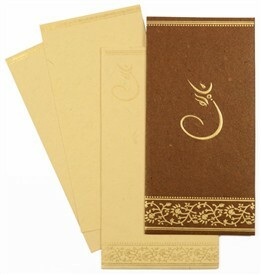 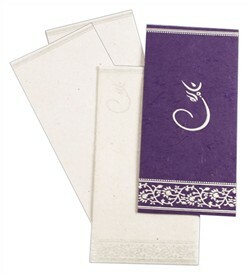 Blue color silk handmade paper for docket style card. 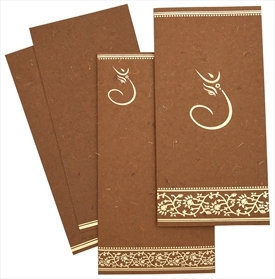 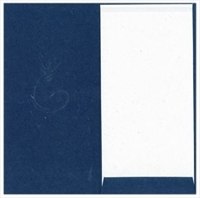 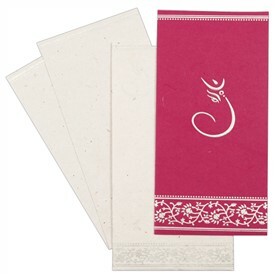 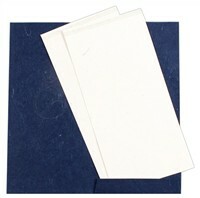 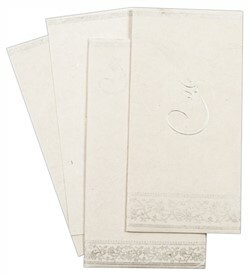 2 inserts and mailing envelope in White color recycled handmade paper. Silk Screen Printing in Blue color matching to the main card.